The prevailing wisdom in gerontology is that people routinely adjust to old age just as they adjust to earlier life stages. But aging presents unusual circumstances, and the transition processes that typify earlier passages fail to operate in the customary way. The reasons for this are the subject of this book. Its basic thesis is clear: unlike other status changes in American life, people are not effectively socialized to old age. 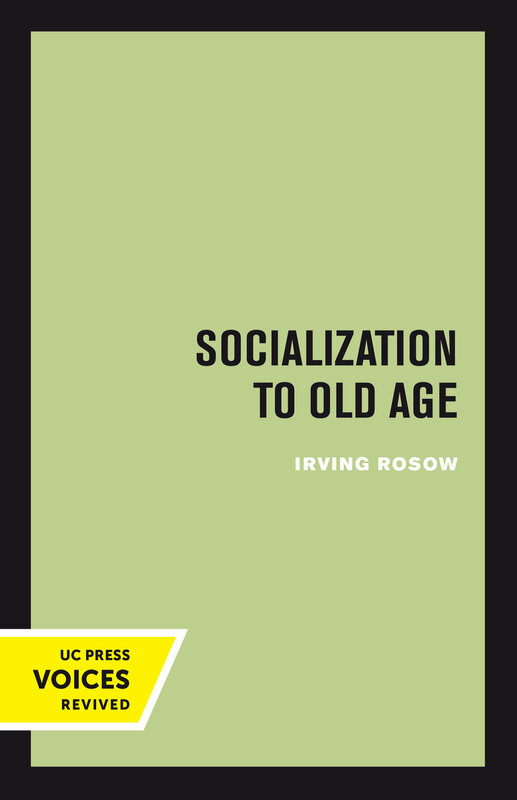 Irving Rosow shows that there is virtually no role for the elderly, the norms for them are weak, and they are subject to negligible socializing forces. He argues that America has only a minor stake in older people and their place in society, almost certainly because of the reduced responsibilities of the elderly and the limited consequences of their actions. Rosow considers solutions in the form of alternatives for socialization within our present institutional structure. At the time of original publication, Irving Rosow was Professor of Medical Sociology at the Langley Porter Institute, University of California, San Francisco.